FOR IMMEDIATE RELEASE, Edwardsville, Ill., Sept. 12, 2018 – TorHoerman Law is excited to announce the winners of the first annual Teacher Support Grant, funded by the TorHoerman Law Employee Foundation, Walton Telken LLC, and Glisson Law. The foundation’s core mission is to provide essentials for community members. The Teacher Support Grant, in particular, further expands on that mission by providing essential classroom supplies to create an exceptional learning environment for students. Originally, only one individual would win the full prize amount of $2,000, but the firm felt strongly that there were many deserving applicants in the Metro East area. With the help of Walton Telken LLC and Glisson Law, six educators will be awarded a total of $7,000. The items requested by the six winners ranged from starter supplies needed to begin a classroom for a first-year teacher, STEM activities for elementary students, to basic toiletries and food items. The grant was available to all teachers in St. Clair and Madison counties. For more information about the TorHoerman Law Teacher Support Grant, please visit torhoermanlaw.com/giving-back/. At TorHoerman Law, personal injury law is all we do. Whether you have been hurt on the job, in a car, or by a drug or medical device you used, you can count on our experienced team to work for you. Since 2009, our office has negotiated more than $3 billion in verdicts and settlements. 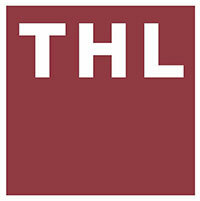 THL is a group of experienced people that believe in justice for individuals harmed through no fault of their own. To learn more, visit torhoermanlaw.com.